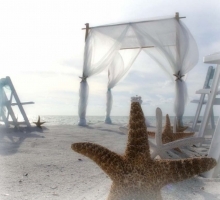 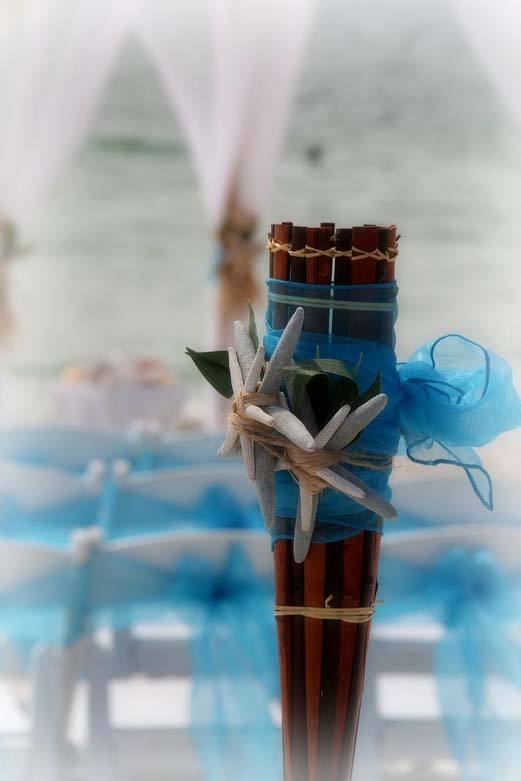 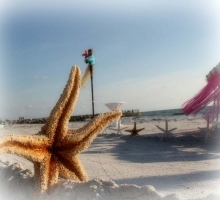 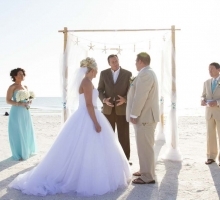 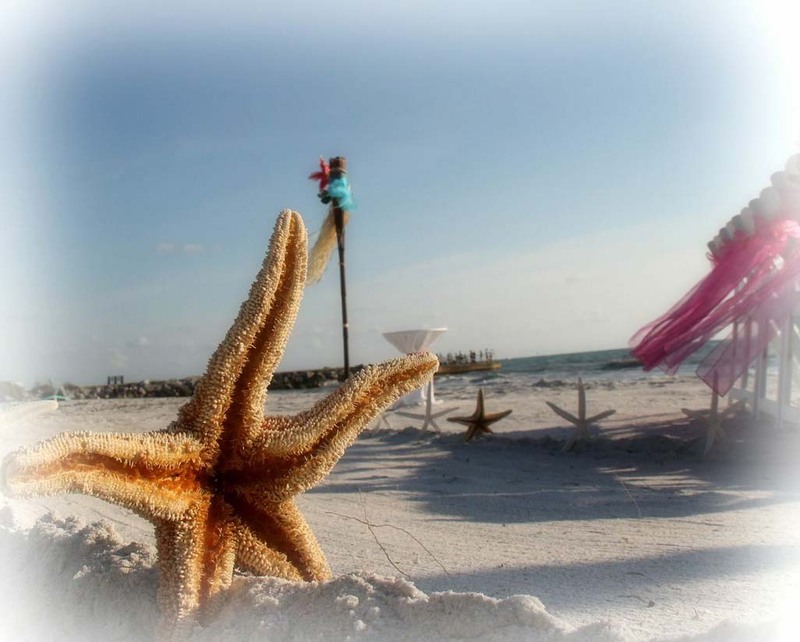 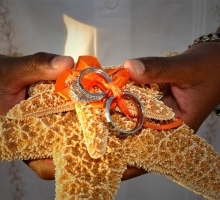 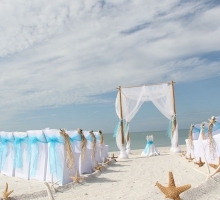 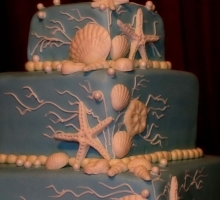 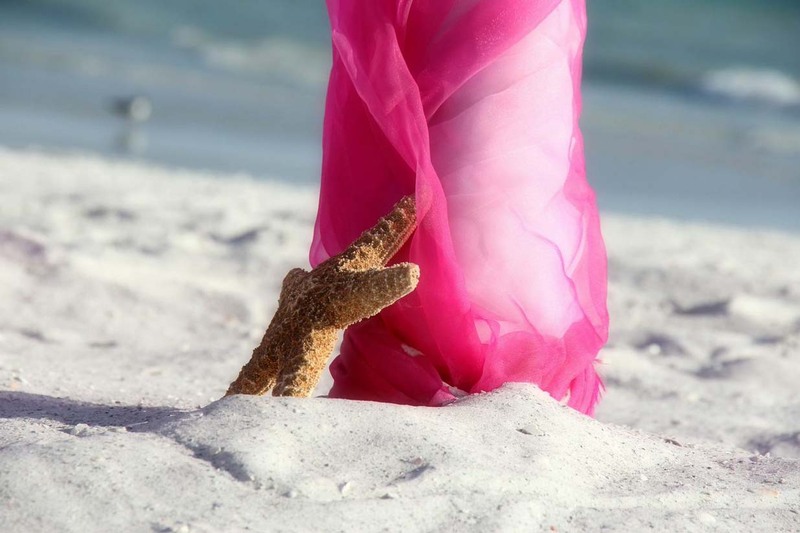 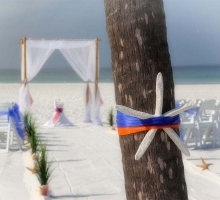 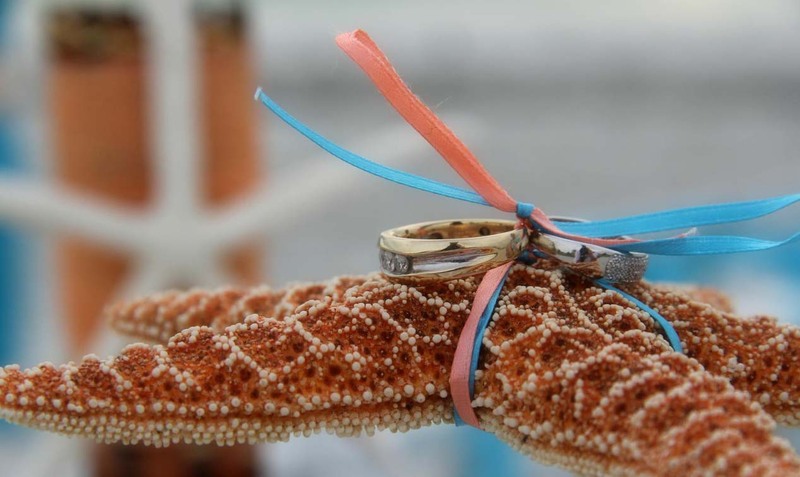 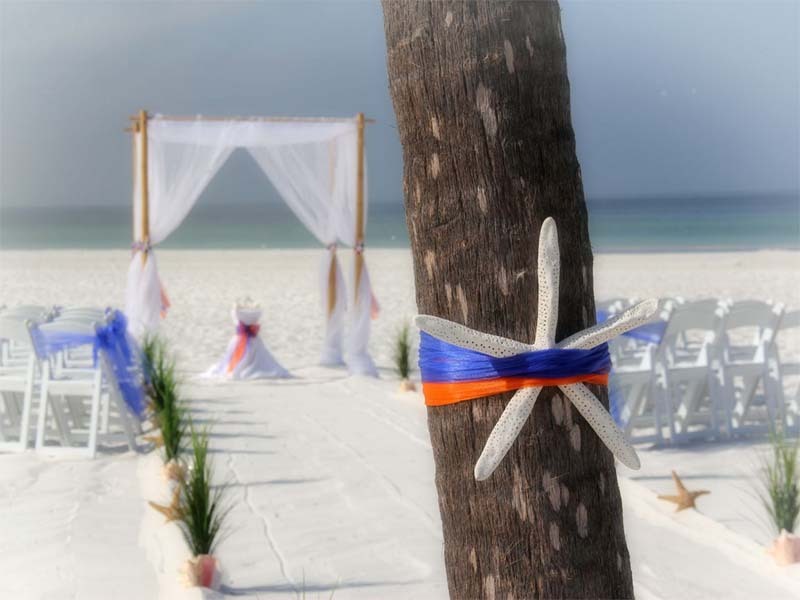 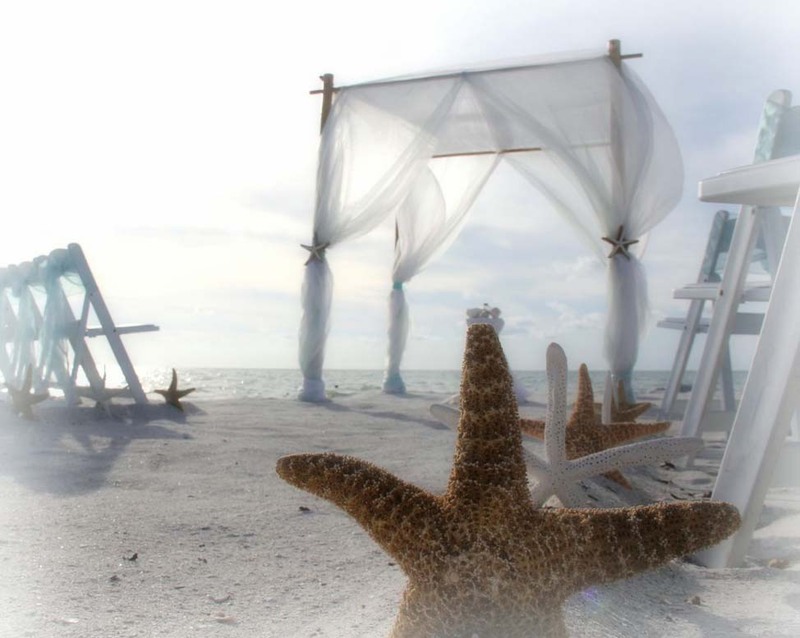 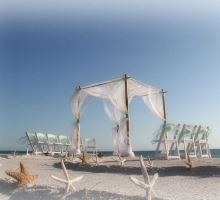 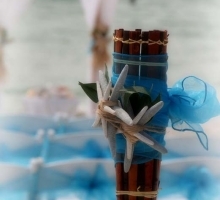 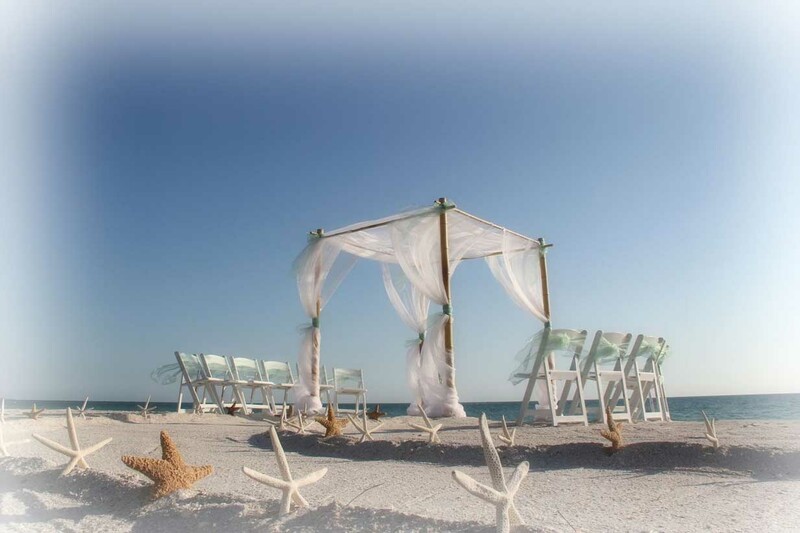 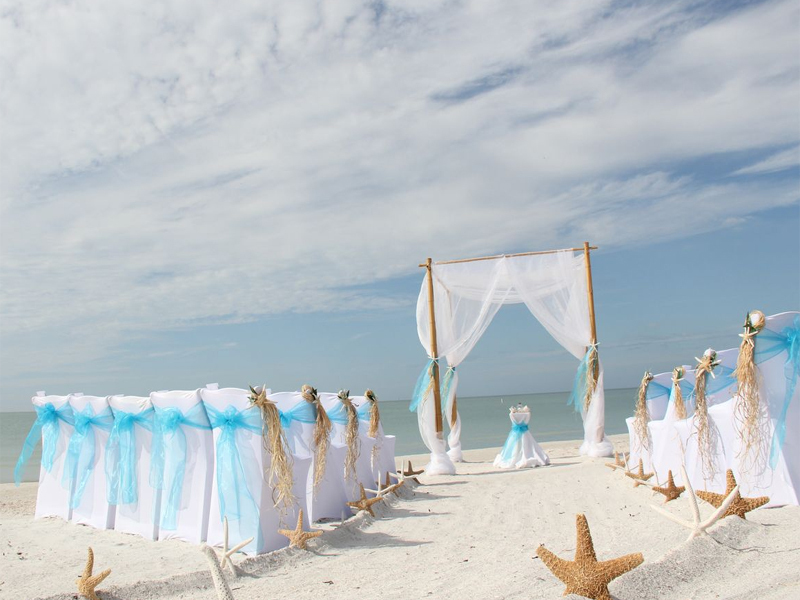 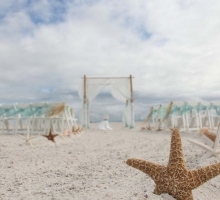 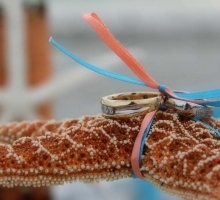 Is a starfish themed beach wedding in your future? 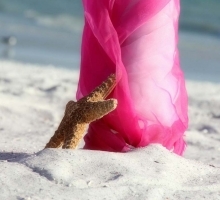 You're next to the beach and they pick up the sandy tones all around you. 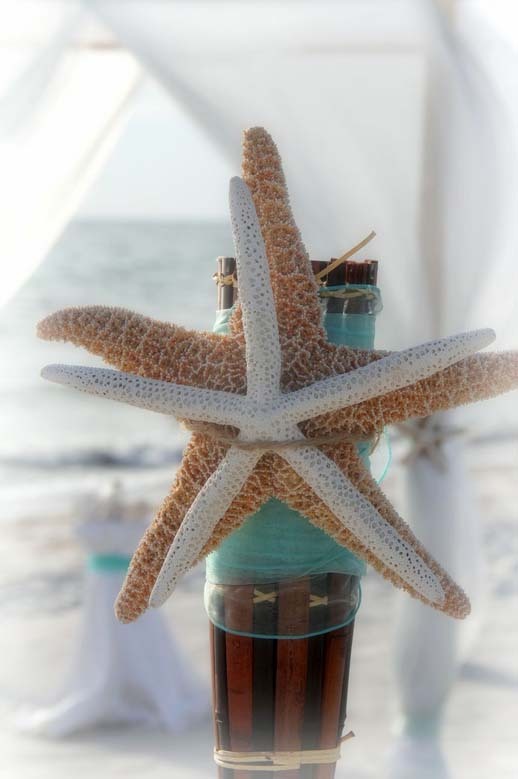 Starfish can be alone or intermixed with flowers, here are some of our most popular looks. 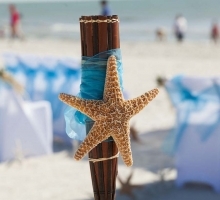 Brown sugar starfish and white starfish look really good alternating along the aisle or layered together. 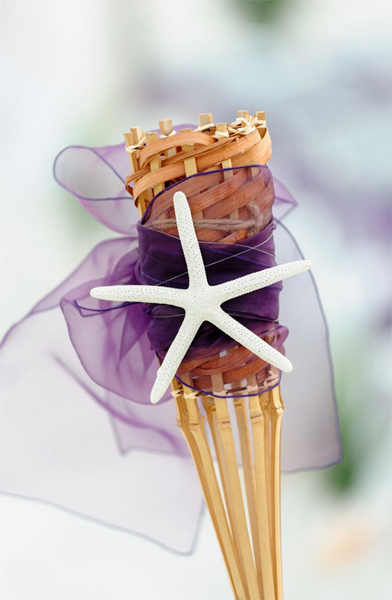 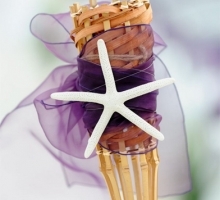 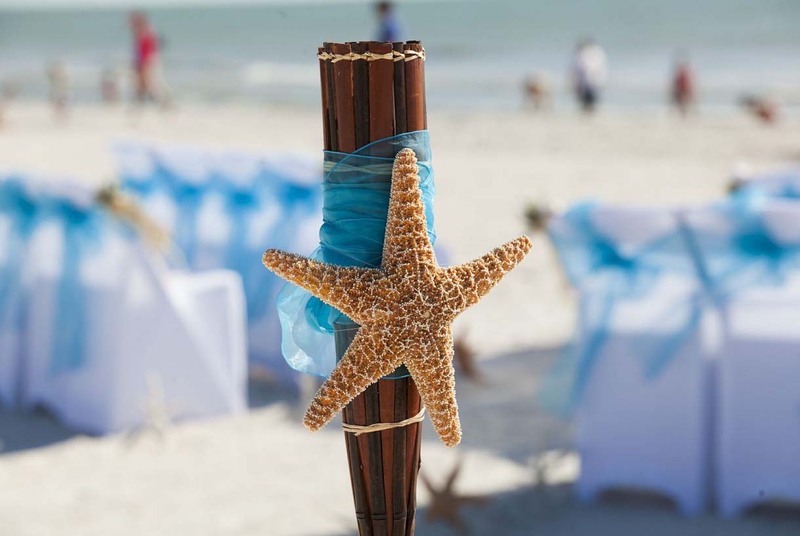 Let your imagination go wild - from cake toppers to stunning hair clips to highlights in a floral bouquet, starfish are the perfect choice for a Florida beach wedding! 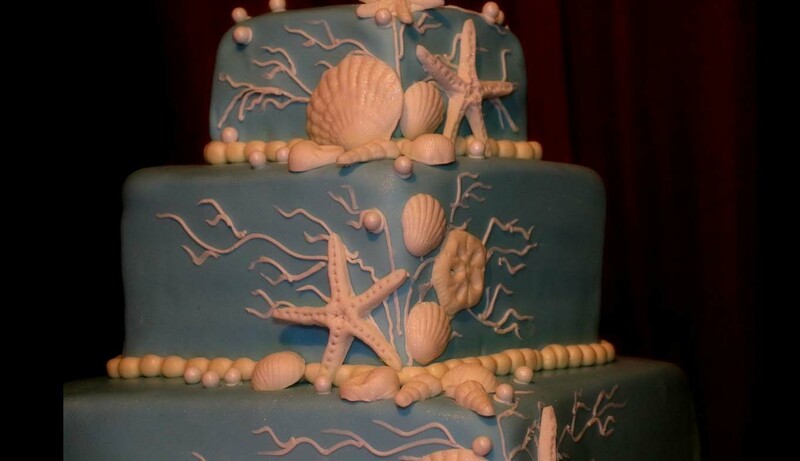 This really is one of our most popular themes. 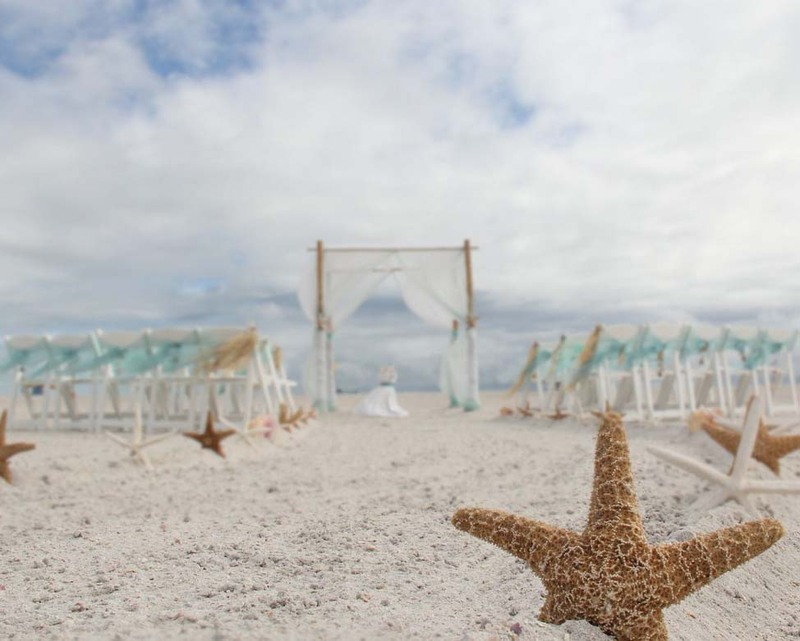 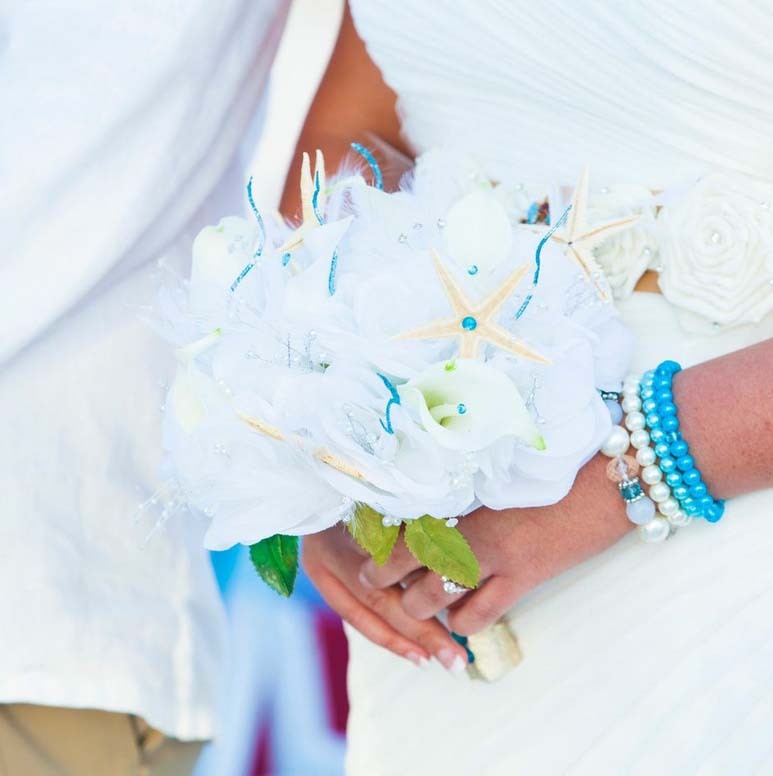 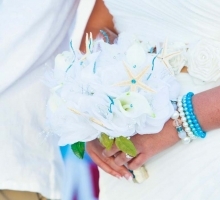 The starfish look great with any color combination (as you can see in the gallery) and they'll forever be a reminder of the beach wedding you've always dreamed of. 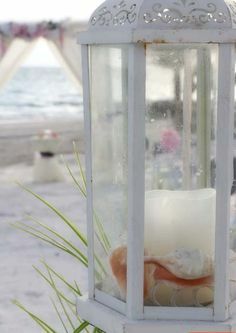 If you want to be creative, there are ways to take the theme from a unique ring-bearer's pillow through to centerpieces at your reception. 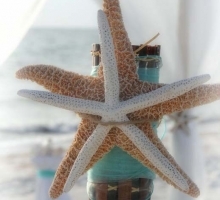 Starfish are symbolic of many traits as they are considered strong, patient, ancient, magical, healing, sensitive, renewing, perceptive, mysterious and resourceful. 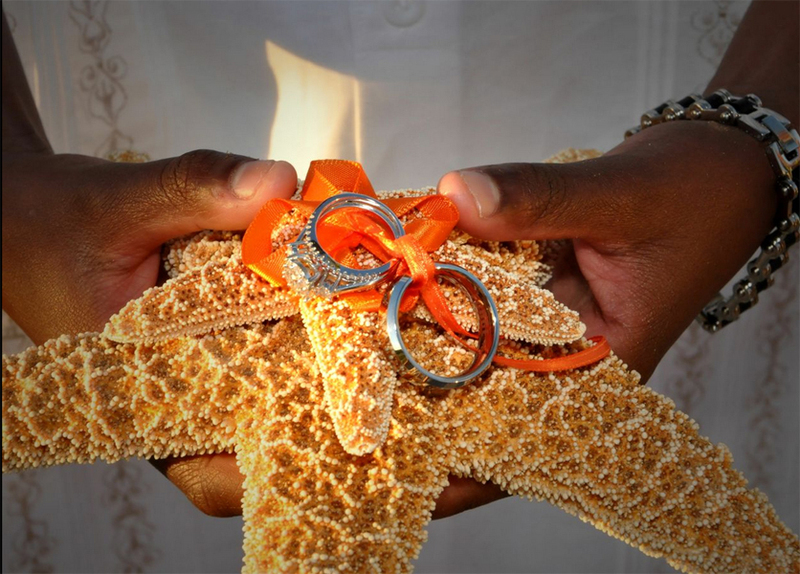 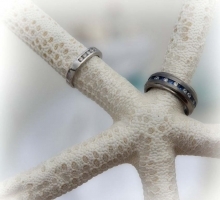 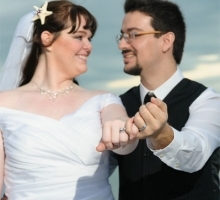 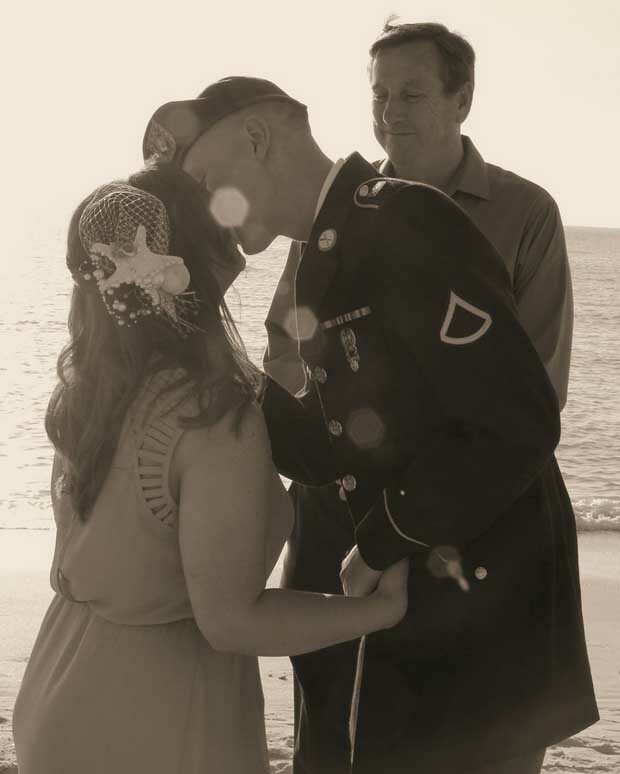 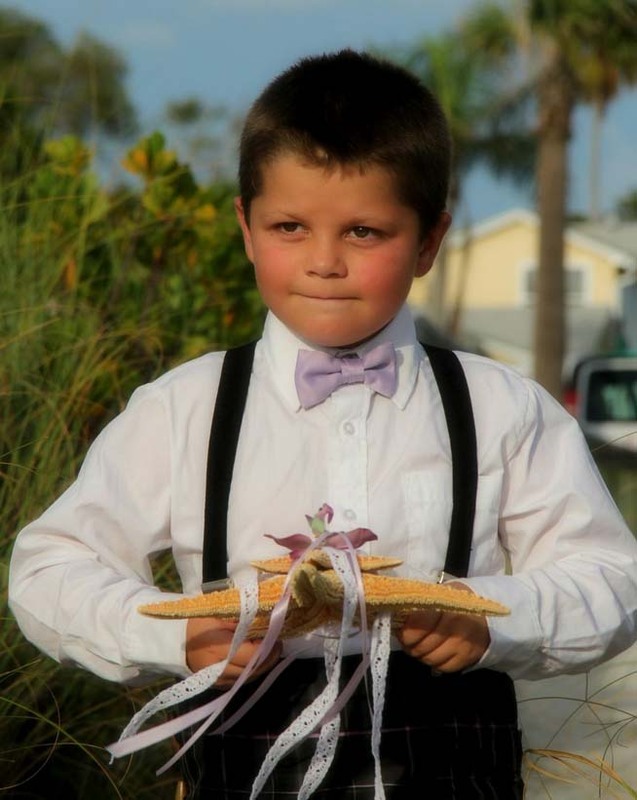 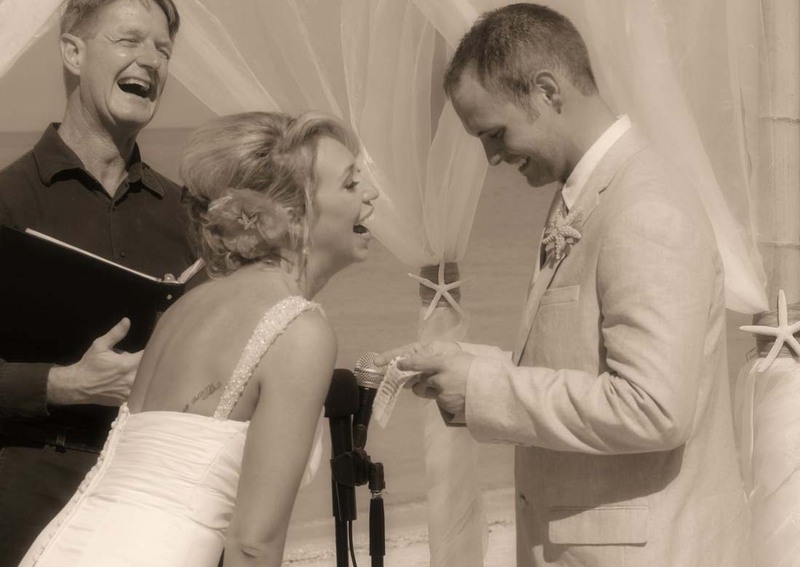 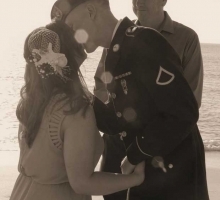 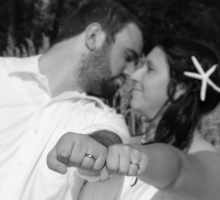 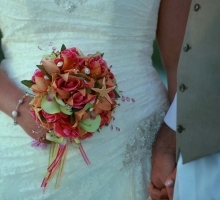 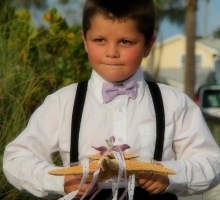 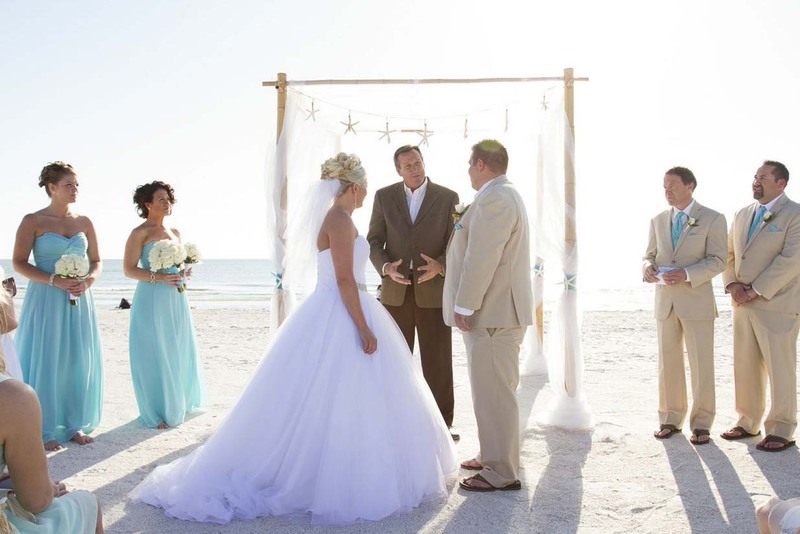 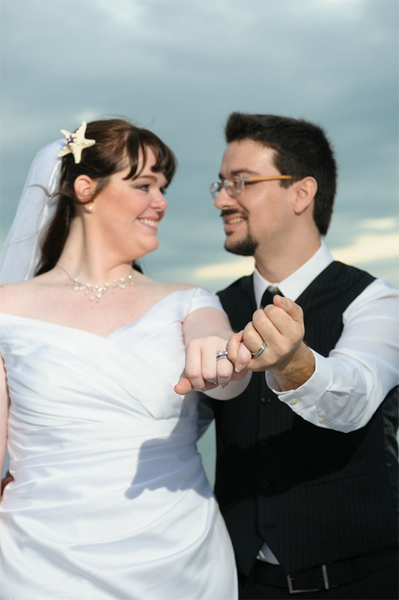 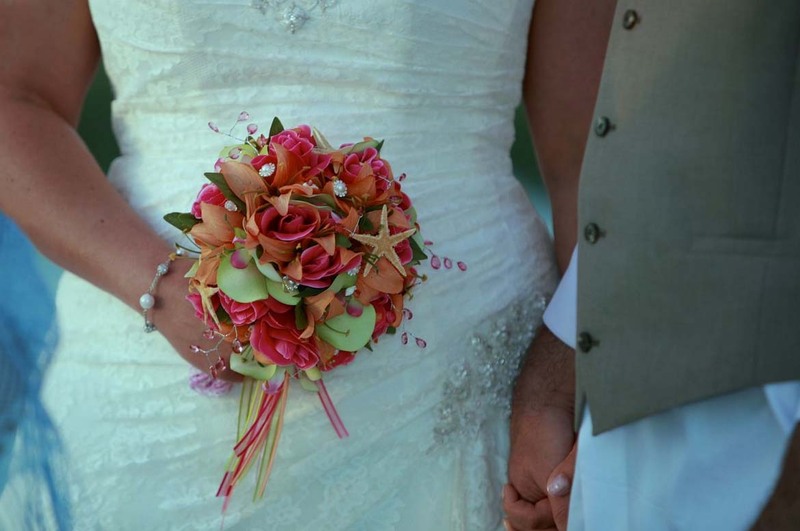 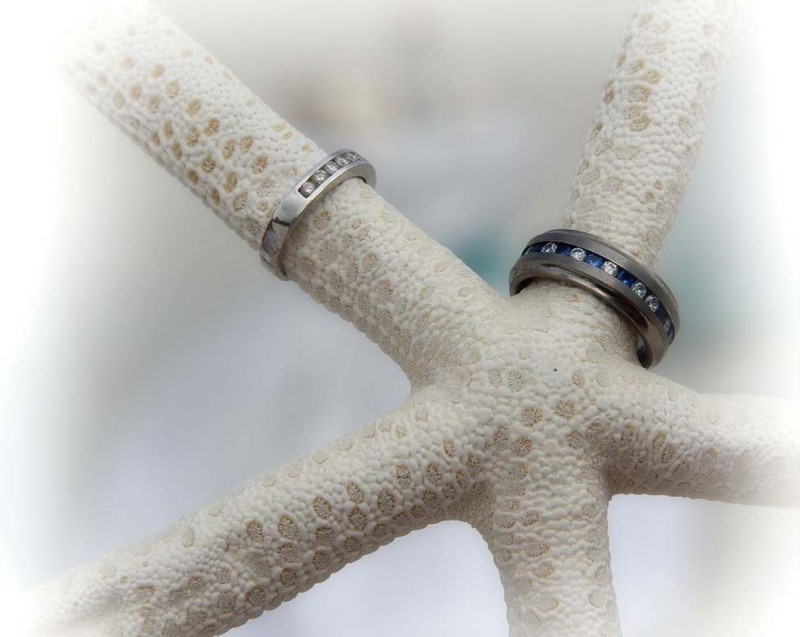 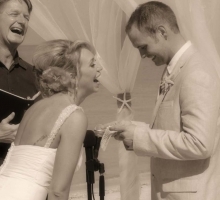 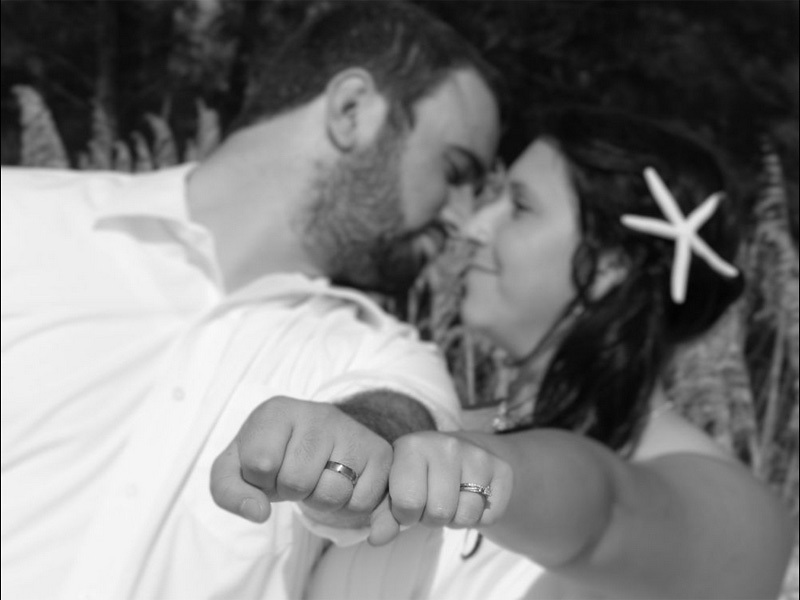 Be inspired by our photos and choose starfish to be a part of your ceremony.